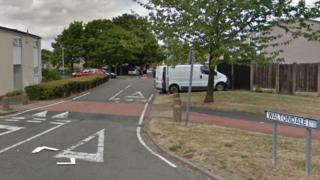 Two people were arrested after a 17-year-old boy suffered "serious" stab injuries, police said. The teenager was taken to hospital after he was found in Waltondale, Woodside, in Telford, Shropshire, at 23:20 GMT on Monday. Two people, aged 18 and 20, have been "arrested in connection with the assault" and are currently in police custody, West Mercia Police said. Det Insp Lee Holehouse, from Telford CID, said: "We believe there was a disturbance in the area shortly before the teenager was found in Waltondale." Officers are carrying out further inquiries and appealing for witnesses.